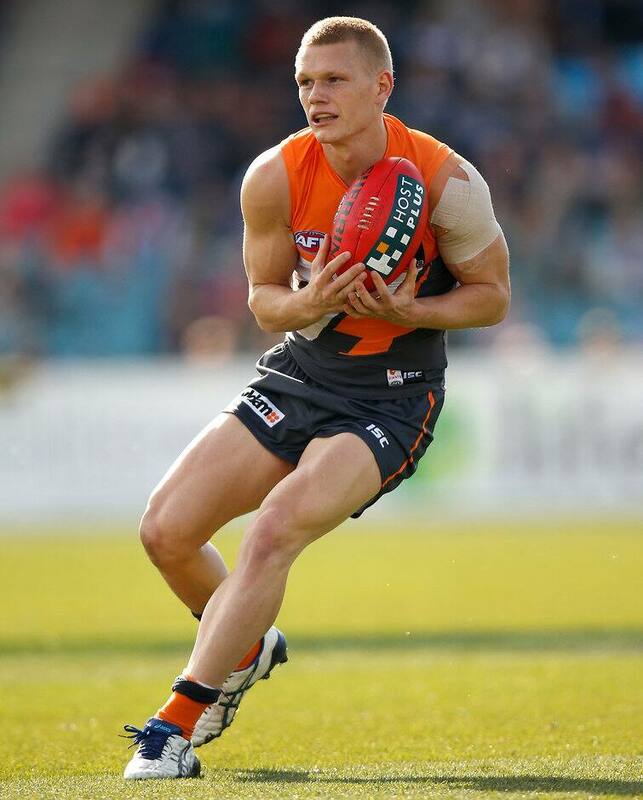 GREATER Western Sydney fans can breathe easy – gun midfielder Adam Treloar says he'll be staying a Giant. The 21-year-old heads a crop of Giants who are out of contract at the end of 2015, but says speculation he might be on the move is "all talk". Treloar was one of the original 17-year-old underage recruits taken by the club in 2011, and he wants to finish the job he started. "I want to be here until we win a premiership," Treloar told AFL.com.au at the Giants' pre-season training camp in Noosa. "It's just all talk. You know the media, they like to make a story, but it's just all talk. "My contract's going to take care of itself, there's nothing to worry about." Treloar said he was more concerned with completing another good pre-season and would worry about the formalities of his contract as next year wore on. The Dandenong Stingrays product has seen the toughest times at the Giants and said he and his young teammates could now see the light at the end of the tunnel. His brilliant 2014 – averaging almost 28 disposals a game – was a major factor in driving the Giants to six wins, including four of their last 11. "I see myself as a leader at this footy club because I've been here since the start," Treloar said. "I'd like to help the other players coming along, the young players like Josh Kelly and even the new guys like Jarrod Pickett and Paul Ahern." Treloar said he'd been through too much to uproot now. "The travelling in those early days was extremely difficult," he said. "I say that now, but I look back and I enjoyed every minute of it. "We travelled out to Rooty Hill every single day, which is an hour to an hour-and-a-half for many players. "And it didn't really feel like a footy club at the time because we were working out of an RSL. "We had an old dance room as our headquarters. We didn't have an oval to train on. We had no locker room. It was a tough time, we got through. "We knew the light at the end of the tunnel was going to be there, we just had to get through those tough times. I'm better for it now. I'm loving my time here. "The pinnacle of AFL is winning a premiership and we feel like we've got a massive chance in coming years to play finals and then push for a premiership. Hopefully that time comes quicker."